Anyone just starting out in the world of crossbows has a lot to learn. There is more to using a crossbow than simply selecting a crossbow, bolts and arrows. Beginners need to determine what they intend to use the crossbow for, be it for simple target practice or hunting animals for their meat and hide. When it comes to choosing the best crossbow for beginners certain names are going to pop up in your search. One of the most popular crossbow manufacturers is Barnett. Barnett has been in the business for decades and understands what the best beginner crossbow should feature. 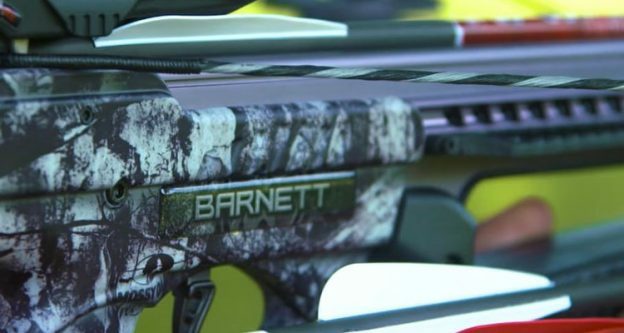 One name in the crossbow industry that is synonymous with high quality and impeccable design is Barnett. To help find the perfect crossbow for beginners we have gathered together a list of some of the markets top crossbows. 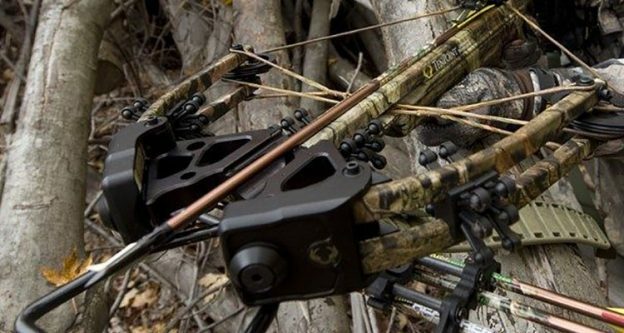 Check out the specs and reviews on the Barnett and TenPoint crossbows that many consider the ultimate crossbows for those individuals just starting out. If you are looking for a beginner crossbow then no search is complete without checking out those offered by Barnett. Barnett is a company that has decades of service to the hunting and target shooting consumers. The Barnett Jackal is only one example of the well-constructed crossbows they have on the market. The Jackal features quad limbs, camouflage, high energy wheels, and a 3.5 pound trigger pull. The draw weight on the Jackal is 150 lbs while the velocity is 315 fps. Users who have chosen this as their first crossbow rave about its ease of use, speed, and accuracy. When Barnett created the Ghost 350 they produced one of their lightest crossbows ever weighing in at roughly 7.5 lbs. The Ghost 350 features Carbon Riser Technology or CRT which helps in the removal of front-end weight. With the center of gravity moved to the end it makes using the Ghost more comfortable. The Ghost 350 has a draw weight of 175 pounds and its FPS is an impressive 350. Users of the Ghost 350 are impressed with its ease of assembly, compact fit, accuracy, kill potential and all of the extras that come with the Ghost 350 package deal. Barnett’s Penetrator is another example of cutting edge technology and innovative design. This beginner crossbow is a bit on the heavier side as it weighs 8.6 pounds. It uses standard 20” arrows. The draw weight on this particular model is 175 pounds and it has 116 foot-pounds of energy with a 12-inch power stroke. The firing velocity on this model is an impressive 350 FPS. Reviewers of the Penetrator praise the shoot-through foot stirrup, its speed, accuracy, and how quiet they find it to be when shooting. Additionally, the Penetrator offers the new Anti-Dry Fire and Metal Injection Molding trigger system along with an easy to use 3.5-pound trigger pull which makes for overall ease of use. Barnett understands that not everyone interested in owning or using a crossbow is of considerable size and stature. The Lady Raptor FX by Barnett is designed for the individual that is new to hunting or of a smaller sized frame. The Raptor FX still offers the popular features and speeds synonymous with Barnett crossbows. The Lady Raptor FX offers a velocity of up to 330 FPS. It also does not shirk on safety as it features Barnett’s 5-1 safety and trigger system found on more expensive and premium made crossbows offered by the company. Users find the Lady Raptor FX an excellent beginner crossbow as it affords the user with speed, incredible accuracy, lightweight and dependable design. 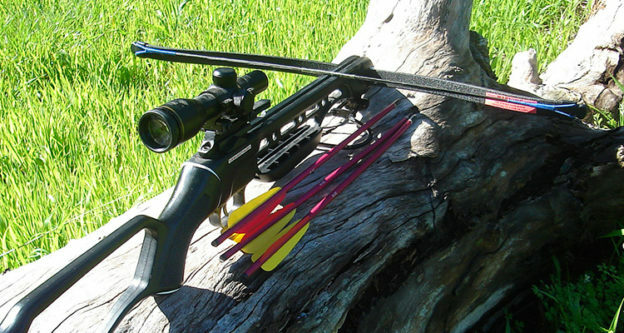 The last crossbow on this list for beginners is the Wicked Ridge by TenPoint Invader G3. The first thing to note about this crossbow is how incredibly light weight it is weighing in at a mere 6.6 pounds. TenPoint managed to reduce the weight and increase the strength of the Wicked Ridge with a combination of strategically placed cutouts and a machined aluminum riser. It offers a velocity up to 330 FPS and its draw weight is 165 pounds. Many users remarked on how it came almost perfectly sighted with minimal adjustments required to hit the designed target length. As with the Barnett crossbows on the list is offers the shooter with tremendous accuracy and speed. As you can see, finding the best crossbow for your new hobby involves a bit of research and plenty of consideration. It is important to take into consideration things such as the draw weight, the velocity, and the overall size and style of the crossbow you want to try. For beginners Barnett offers some the of top crossbows on the market regardless of whether or not you are going to be hunting game or shooting at targets. TenPoint also offers a great crossbow for the beginner. 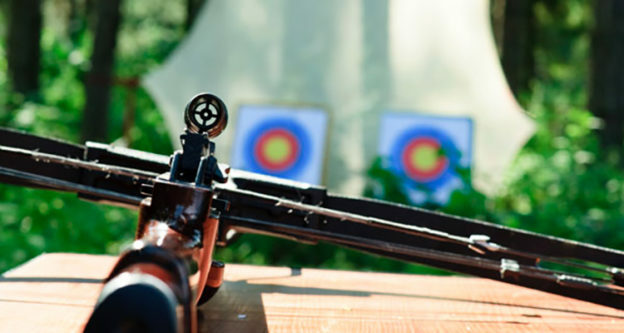 Determine what you intend to use the crossbow for, the size you want, and take into consideration your physical capabilities and you will be on your way to a fun and rewarding new hobby.